Beginner sessions starting 1st OCTOBER! We teach practical self-defence techniques that work for anyone of any shape, size or ability. By using an attacker’s strength and momentum against them, and learning a lot about balance, intelligent striking and the body’s natural weaknesses, you’ll be able to deal with a person much bigger and stronger than you. Come along to any session and try Jiu Jitsu for free. We train every Monday and Thursday from 8-10pm in Hugh Cubbitt Centre (by Kings Cross) and Friday night from 7:30 – 10 pm in the Bloomsbury Fitness Centre on Gordon Street. Our three lead instructors have nearly 40 years of teaching experience between them. To find out more, come along to any session. Your first two sessions are free! For those new to jiu jitsu, you must be nominated by a club instructor to grade, and the first step is attending the pregrading — you’ll cover a lot of syllabus there. You must attend if you hope to grade. It’s good training, so go even if you think you’re not ready to grade this time. It’s hard to tell how you’re doing in jiu jitsu, and a lot of people take themselves out of gradings by missing the pregrading. Don’t do that. Go train. Dudes, until term starts up again we are very pleased to confirm that Summer training is on! Mondays & Fridays 8-10pm in Mandela Hall, Bloomsbury Fitness Centre, Gordon Street, until Sep 1st. Students/Non-students: £3 per session or £50 for a 12 week pass. 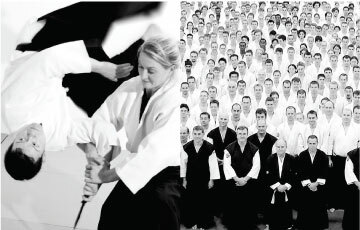 From 1 October we’re training on Monday and Thursdays from 8 – 10 pm at Hugh Cubitt Centre, 48 Collier St, London N1 9QZ, a short walk from King’s Cross, and on Friday nights from 8 – 9.45 in the dojo, Bloomsbury Fitness Centre, 15 Gordon St, London WC1H 0AY. It’s Fresher’s week, and we’re looking forward to welcoming the next generation on the mat! Your first session is free, so come along and try jiu jitsu. We’re training on Tuesdays and Thursdays from 8 – 10 pm at Somers Town Community Sports Centre, 134 Chalton St, London NW1 1RX. All welcome.